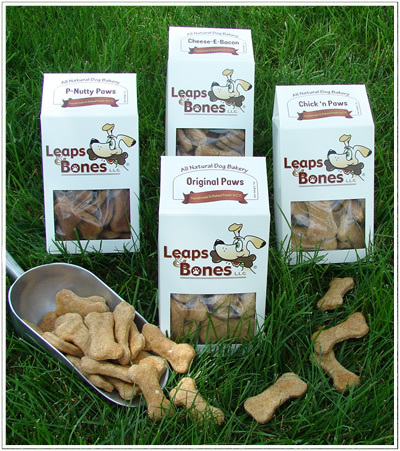 We’re working to bring Leaps & Bones handmade, all natural biscuits and the best foods on the market for your dogs right to your door conveniently and economically. Shop our online selection to have your next pet shopping day done in a snap! Any order $50 and greater will receive FREE shipping anywhere in the continental USA. Any orders under $50 will have a mere $8 shipping charge! So order today and see why your life just got easier with our door to door service.